Completed during 2004 and 2005, this translation of Book XXII of Homer's Iliad moves the tradition of classic Greek and Latin translation into the realm of experimental American poetry. 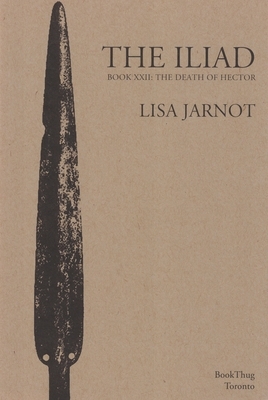 Following in the footsteps of Pound's Homer and Zukofsky's Catullus, Jarnot reconfigures a pivotal moment in Homer's epic tale of warfare. Dedicated to the memory of people who just keep killing each other, this new vision of a classic text a poignant read in our present culture of boundless warfare.